Sightseeing Athens with Athens Happy Train. If you want to enjoy an amazing sightseeing tour in the historical center of Athens and the capital's most famous ancient sights and monuments, your first choice is… Athens Happy Train. 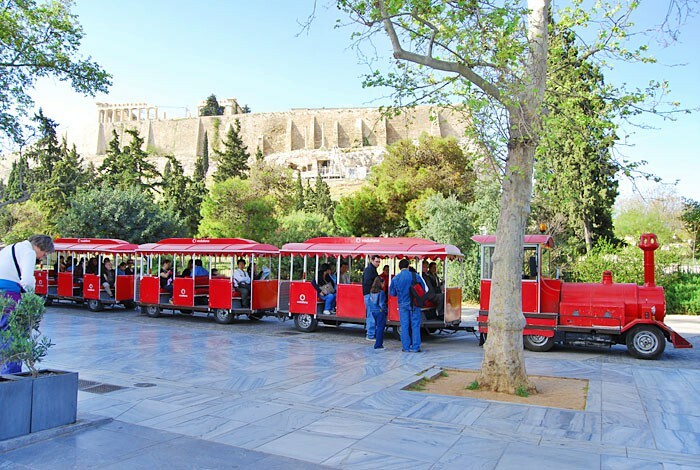 The Athens Happy Train is a toy-like street train that starts its sightseeing tour from the Constitution Square (also known as "Syntagma") and follows an amazing route through the historical center of the city, the old neighborhoods and the hill of Acropolis. 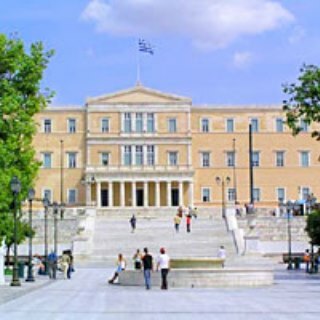 The tour has a 40-minute duration and takes in Athens's most famous sights and monuments including the Hellenic Parliament, the Museum of Cycladic Art, the War Museum, the Panathenaic Stadium, the Temple of Olympian Zeus, the Lantern of Diogenes, Plaka, etc. 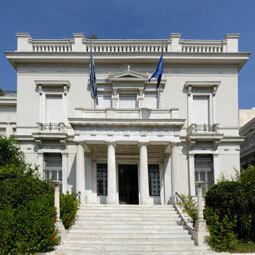 Hop-on hop-off as you please and see Athens as you please, at your own pace, safely and with comfort. You can hop-off the Athens Happy Train in the Constitution Square, in order to explore the streets of the oldest neighborhood of Athens. 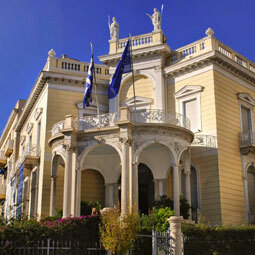 You can also hop-off near the New Acropolis Museum to visit the Hill of Acropolis, the Parthenon or the Museum. If you like to spend your time there, you can use the same ticket and hop-on any of the next trains for the next 10 hours. 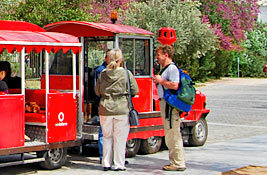 Athens Sightseeing Tour with Athens Happy Train, operates all year round. Our trains start their tours at 9.00 a.m. until 9.00 p.m. in the Winter Period and 9.00 a.m. to 11.00 p.m. during Summer Period, with transit frequency every 30 - 40 minutes, operating every single day of the week. 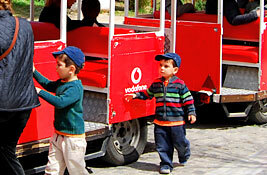 Athens Happy Train tours, are hosted by guides along with a multi-lingual commentary in English and Greek. Even though the duration of the tour is about 40 minutes, you can easily transform it into a ‘’day trip’’ in Athens, just by hopping off at the stops you like, explore the monuments of Athens and its Ancient culture, or simply take a break to eat or drink. You can hop on in one of the next trains passing by each stop. All you have to do is ask our driver! Are you a group of fifteen persons or more? Complete the form now to make a reservation. To avoid standby because our Happy Train can be full and you may have to wait for the next round, you can complete the reservation form and stay on track of your schedule. 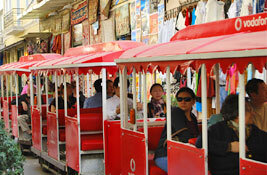 The Athens Happy Trains start from Ermou Street every 40 - 50 minutes.